There are a whopping 8,222 islands in and around the borders of Australia. The largest of these are Tasmania, Kangaroo Island, Melville Island, Groote Eyalndt, Bathurst Island, Fraser Island, Flinders Island, King Island and Mornington Island. Now of course, you won’t be able to visit all those islands so we’ve narrowed it down to a handful that are well-worth the trip. 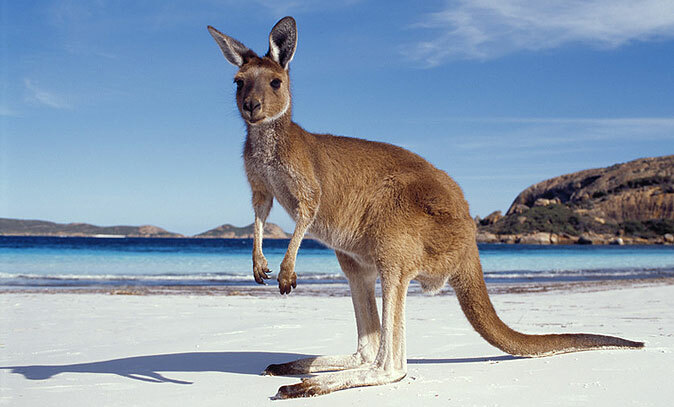 Kangaroo Island, despite its name, features more than its fair share of kangaroos. You’ll find sea lions basking on the beach at Seal Bay and koala bears eating eucalyptus trees in Hanson Bay, pink pelicans hovering through the sky plus other wildlife roaming this island. This island has historic lighthouses, amazing underground caves and miles of luscious secluded beaches, one of which was voted ‘Australia’s Best Beach’ – Vivonne Bay. The Remarkable Rocks is truly a remarkable natural attraction to visit in Kangaroo Island – the unusual rocks have been shaped by erosion from the wind and sea spray. Philip Island is home to Australia’s Motorcycle Grand Prix Circuit, contrasting wildlife such as penguins, koalas, waterbirds and potoroos and great beaches to swim, surf and fish from. Take a cruise to Seal Rocks where you’ll come across the largest colony of fur seals in Australia or wander through the koala conservation centre to see koalas in their natural habitats. And that’s not all, you will have the chance to see the penguin parade when little penguins come ashore at sunset in large groups, this is one of the many attractions Philip Island has to provide its visitors. The World Heritage listed Fraser Island is the world’s largest sand island and a favourite with backpackers. The best way to explore this place is using a 4WD (four wheel drive) and driving on the 75 mile beach like a highway. Visit the historic Maheno shipwreck, hike through the rainforest past kangaroos, wallabies and possums and spot humpback whales from Indian Head – the activities are endless. On King Island you can explore shipwrecks, go game fishing and taste the island’s renowned airy products. Flinders Island is the place for unspoiled beaches, to climb granite mountains and hunt for a Killiecrankie diamond or Bruny Island may be more your scene if you’re fond of dolphins and enjoy hiking and where better than along this island’s dramatic cliffs.